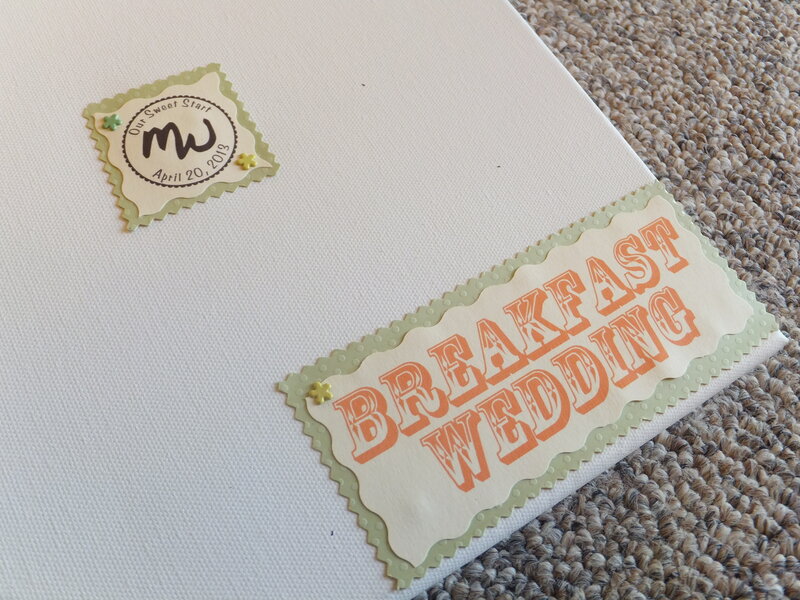 Wedding guestbooks were originally a functional souvenir for the newlyweds. It gave the happy couple a list of who attended their shindig, a way to organize thank you notes and as a method to start a formal “couple”address book. This tradition of the ceremony has evolved into more of a memory keepsake with signatures or little love notes from friends and family. Some couples have incorporated Polaroid or photo booth image into their love note collection. There are even wedding-day versions of “Mad Libs” to help guests share their happy thoughts on the newly-wedded couple. These precious keepsakes, unfortunately, get stored in a box or other mementos and usually without a second thought to the sentiment within it. Guestbooks can, and should, be a long-lasting memento of the big day and of those who made it complete with their love, laughter and support. 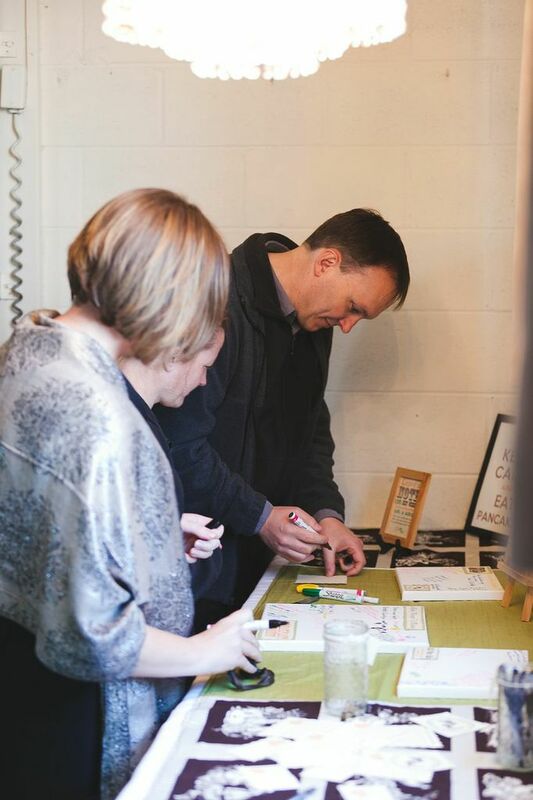 Why not create a guest book that will serve as a keepsake to be viewed over and over again? That was the thought process behind my “Guest Book Canvas” idea. My husband and I wanted something that went beyond just signatures in a book or “love recipe” cards. We wanted something that we could hang on the wall and cherish long after the wedding. 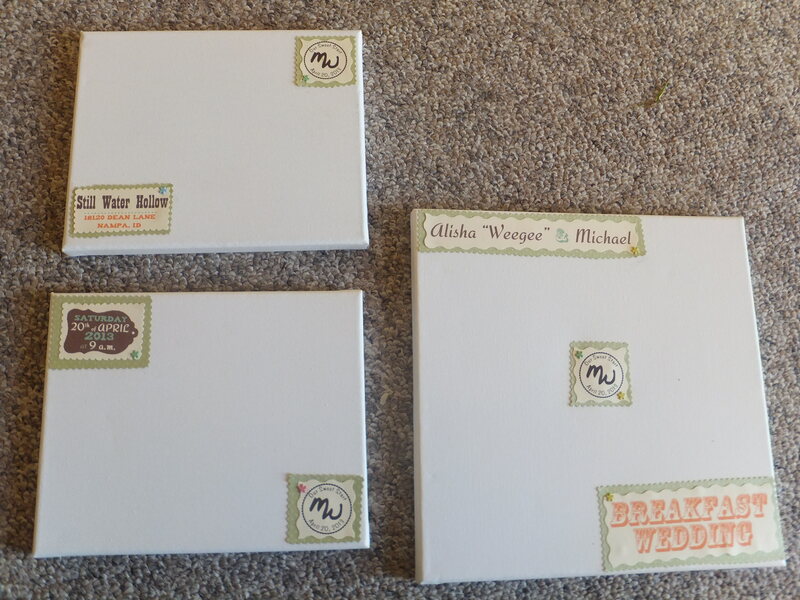 We purchased artist canvases from Michaels craft stores, which are often on sale or easily discounted with one of their frequent coupon offers. I added embellishments of our wedding, like our branding or names printed on craft paper, to the blank canvas with decorative brads. At our reception, we put out the canvases on a table with Sharpie Oil-Based Paint Pens. We included a handmade sign to encourage our guests to write their names, draw us a picture or leave us a little love note. 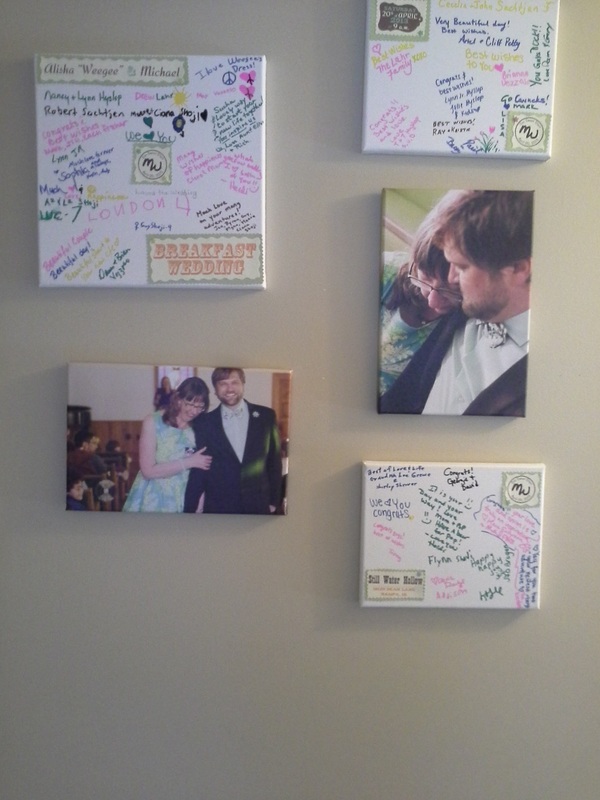 But what added the cherry to this idea was purchasing canvas prints created with our wedding pictures. Our photog, Annie Garner of Let It Shine Photography, took some amazing photos of the two of us that could easily translate into a work of art. The best way to do this, and save money, is to sign up for the Michael’s online email discount program. About once a week or every two weeks, you will receive a discount coupon for use online or in one of their stores. Occasionally, and this is where the payoff is, they will discount their picture or artist canvas services via their MiDesign@Michaels. I hung the five canvases outside my office door so I can see them as I breeze past them going for coffee or taking my lunch break. 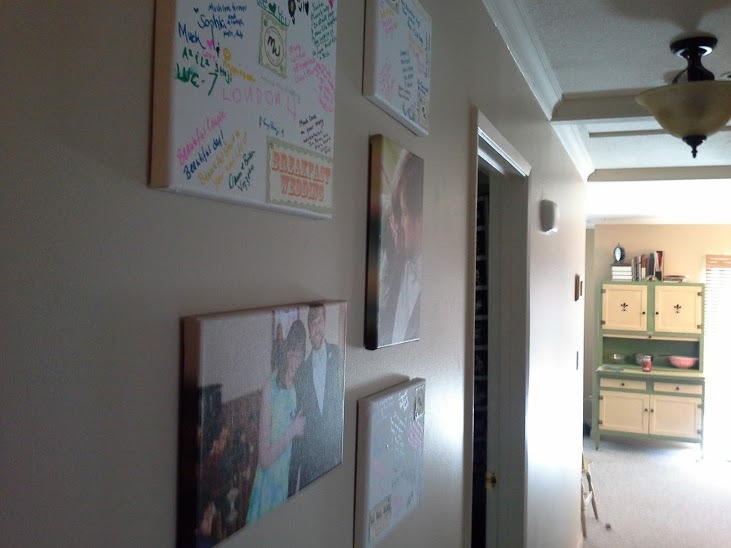 My eye will catch one signature or the picture of flowers a friend drew for the two of us each time I walk through the door. It is a simple way to remember the day and those who made it complete. how to play a song when you’re not aware of or haven’t heard of the song. Get the hang of the passage at a slow speed, and then gradually up your pace. to simply produce some adjustments to get back in sync. to keep practicing till you’re able to improve fairly quickly. Moreover, you will find a number of online guitar teachers for this purpose. are your imagination and your audience’s supply of tomatoes.